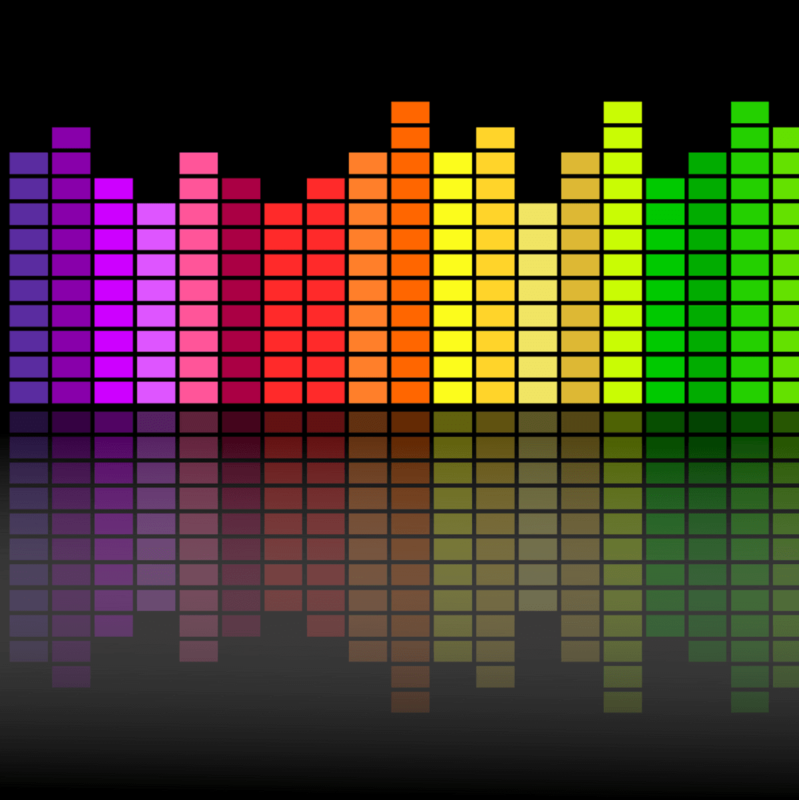 The thought of producing EDM (electronic dance music) may have crossed your mind several times especially if you are a content creator, budding music artist or a DJ. For content creators, music is a big part of their production. However, the recent copyright laws have made it difficult to use free music available on the Internet. A copyright strike and you may end up losing your channel. The best solution here is to either purchase a license to music or create your own EDM. EDMs are created using DAW (Digital Audio Workstation) software. Every Digital Audio Workstation is different as a result finding the one that caters to your need is important. While we cannot promise you to make the next Marshmallow, what we can certainly show you is the best DAW software for EDM. In this article, we have gathered the top music production software to help you create any type of beats for EDM. What are the best EDM software of 2019? ImageLine’s FL Studio is a powerful DAW software that can help you create some of the sleekest beats. Apart from creating EDM, the tool is equally good for creating and recording any kind of music project. The base version Fruity Edition of the tool starts at $99 and lets you create basic melody and loops. 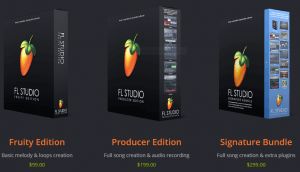 The producer edition costs $199 and offers full song creation and audio recording features. FL Studio comes packed with all the features that you need to produce today’s complex music including audio sends, sidechain controls, effects chain, advanced automation as well as plugin support for extending the functionality of the software. 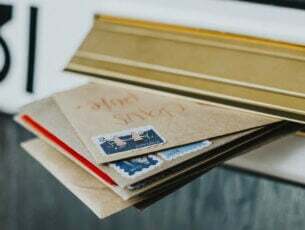 To aid complex score editing and manipulation, it comes with best in industry Piano Roll that can be used to send a note to plugin instruments. 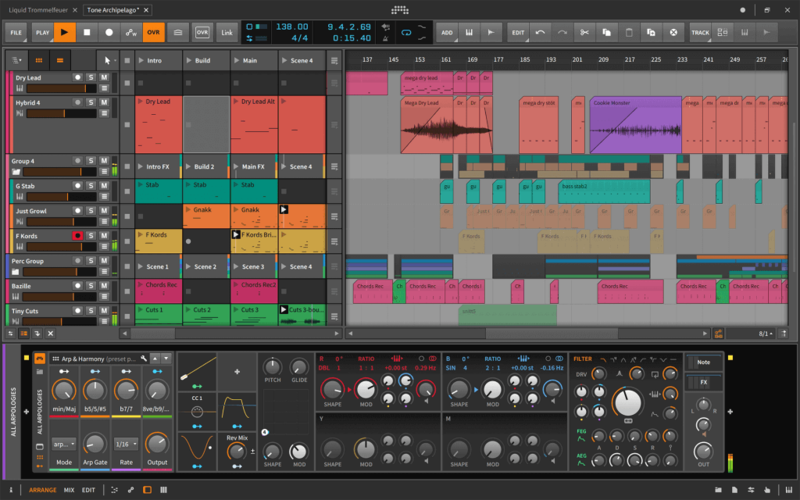 It also offers a flexible editing timeline with the tracks that can hold notes, audio, and automation. To extend functionality, you can use over 80 plugins for instruments and effects covering synthesis, compression, equalization filtering, and distortion, etc apart from support for third-party plugins. Other notable features offered FL Studio include a vectorial interface, automation recording, VST, ReWire support, Live DJ Control, ability to render 4K videos using FL Studio and more. FL Studio is a powerful but a complex software, but once you master the use, the possibilities are endless with it. The company offers a trial version of the same for you to try before making a purchase. You’ll get all future updates free guaranteed! Magix is the same company that owns Vegas Pro video editing software. 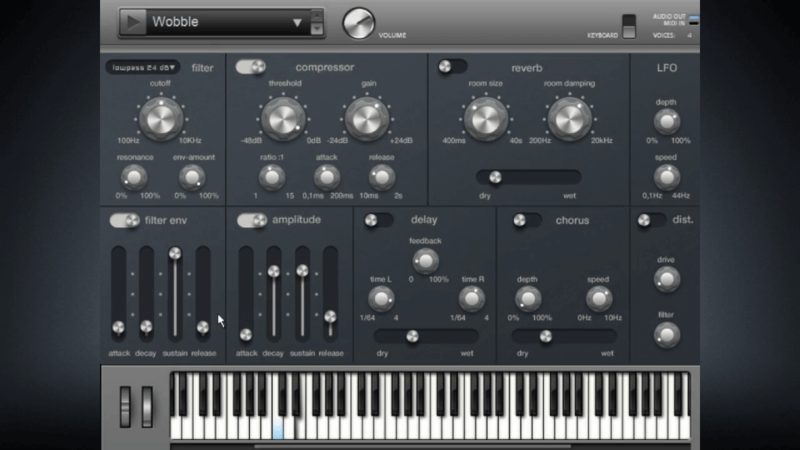 It also offers its music production DAW software Acid Pro. The Acid Pro comes in multiple version. The perpetual license costs $139 while the subscription model starts at $9.99 per month. Acid Pro was mainly known for its loop tools. However, the latest version of the software comes with a wider feature set than ever. The user interface of Acid Pro is nothing different from other DAW tools with a model GUI offering intuitive loop based composing. It is standing on the new and powerful 64-bit architecture and comes with new set of features that include instruments including synthesis, sampler and drum, new plugins, guitar, analog and vintage effects, and ACID loops and samples. It also comes with two new Vita Solo instruments Pop Brass and Orchestra Ensemble. Then there is exclusive Analogue Modelling Suit but for only Acid Pro 365 users that offers classic-style effects of limiter, compressor and transient modeller. 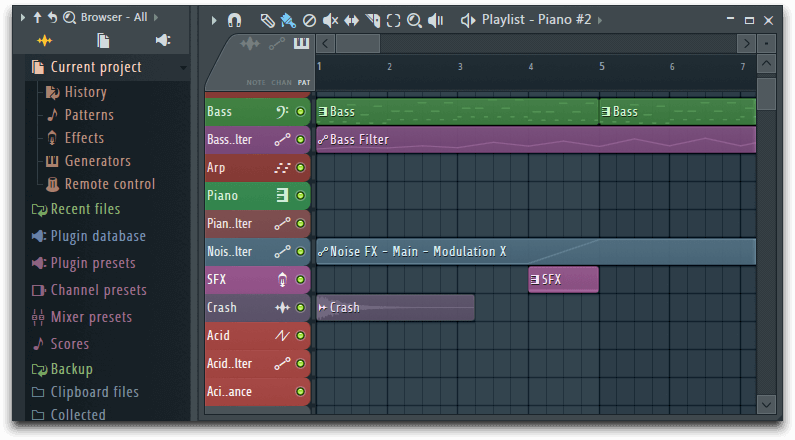 Acid Pro is an excellent tool for Windows-based producers to create music for beginners as well as professionals. There is a free 30-day trial available as well for you to try before making a purchase. Zulu DJ is a professional mixing software that offers enough features for a professional and easy enough for a beginner to get started. It is a premium software that costs $24.99 for the home edition and extra features like a multi-track mixer, audio editing tools, audio converter, and vocal voice changer and more can be added at an additional cost. 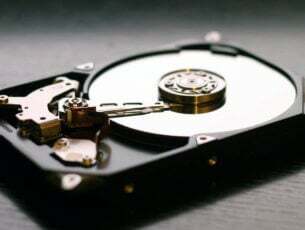 There is a free version of the DJ Zulu is available as well, but some features get disabled after 14 days trial while others remain functional. Zulu DJ claims to be a complete mixing solution offering powerful features along with an intuitive user interface. Once the user loads a track, Zulu DJ scans and automatically detects beats. After that, It assigns a beat per minute and changes the tempo for perfect synchronization on the second deck. It also comes with features like the ability to easily crossfade between tracks, real-time pitch, and tempo adjustment, seamless music mixing with auto-play mode and support for multiple audio formats including MP3, Wav, and other popular formats. You can also add effects like Distortion and Reverb in real-time. The VST plugin support allows you to add more functionality to the tool. With easy to user interface, real-time automatic BPM detection and the ability add all the popular effects on the fly makes DJ Zulu a good choice for anyone looking for mixing software. 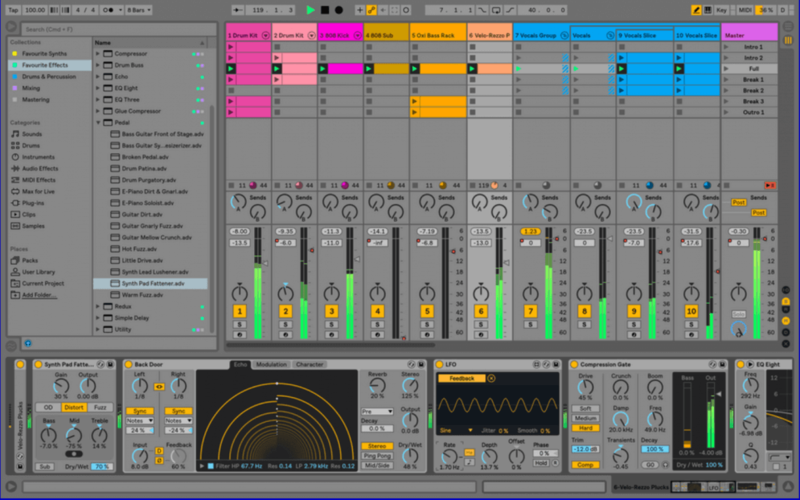 From producing music to performing Live, Ableton Live is among the simplest digital audio workstation you can find today. The latest version of Ableton makes it even better with a new set of features. Ableton starts at €79 and can get expensive at €599 for all the goodies bundled in a single pack. The Ableton Live is divided between two views – the arrangement view and session view. The Session View enables you to play music live in real time using scenes made from audio clips. This allows you to combine a drum, bass, and guitar track in a single scene if needed and the next scene may only include bass and drum with guitar track removed. The latest version also includes new devices – Wavetable, Echo, Drum Buss, and Peddal to create new sounds with the help of live instruments and effects. Ableton Live can also capture MIDI, edit multiple MIDI clips using arrangement view that enables quick and creative editing with tools like stretch and audio fade using clip interaction tool. It also has Push 2 integration for viewing MIDI notes on Push display and Max For Live integration as well. Ableton Live is a fully loaded professional tool that is ideal for mixing and EMD production. Grab the demo and try it to check if it meets your requirement. Bitwig is that new kid in the block but offers similar functionality as of Ableton Live which is also due to the fact that some of the former Ableton developers have helped in creating Bitwig. 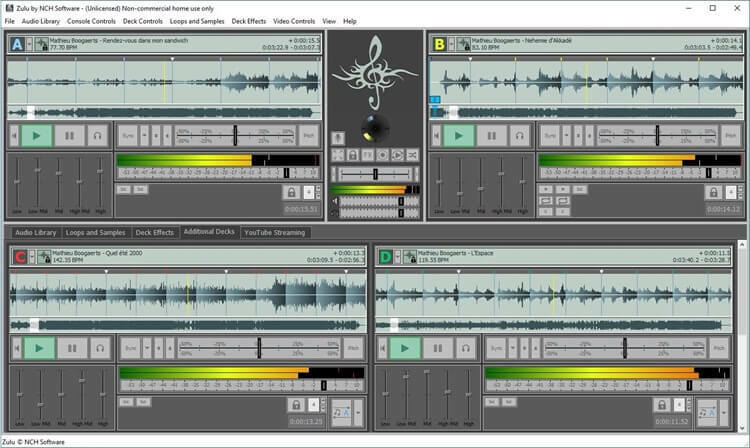 Bitwig is a professional digital audio workstation for Windows and other platforms offering flexible workflow for recording, live performance and sound design. It comes with a complete package of 80+ instruments and effects along with over 10 GB of professional grade sound content ready for production. The flexible panel-based user interface offers three layouts: Arrange, Mix and Edit so that you can focus on the work in hand with a required set of tools. It also supports multiple monitor setup to boost your productivity. The Detail Editor enables you to make destructive edits to a clip using stretch, split, copy, pan, reverse, add, move and pitch tools. Bitwig is one of the few tools that support MPE ( Multidimensional Polyphonic Expression) which makes it capable of capturing and utilizing features of advanced MDI controllers on the market. Other features offered by Bitwig include standard note editing tools, the ability to open multiple projects at a time, fades and crossfades for audio clips and hardware integration. Despite being the newest of the lot, Bitwig does offer all the essential features along with advanced features that are not yet available in other DAW software. The demo of Bitwig is available for download, make sure you grab the demo before betting your money on it. What’s your favorite DAW/EDM software? I have listed the top 5 DAW software for EDM production and audio mixing. While some offer the ease of use, some offer industry standard tools to create the best piece of EDM in coming time. If you are a professional FL Studio, Acid Pro, Bitwig, and Ableton offer professional grade tools to get you started. But, if you only want a music mixing software try Zulu DJ. Have you found a DAW software that meets your requirement in this list? Do let us know your pick in the comments below.